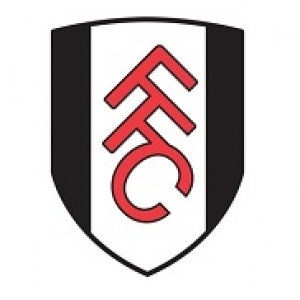 Fulham started life (as Fulham St Andrew’s Church Sunday School F.C.) in 1879 wearing red and white halved football shirts. 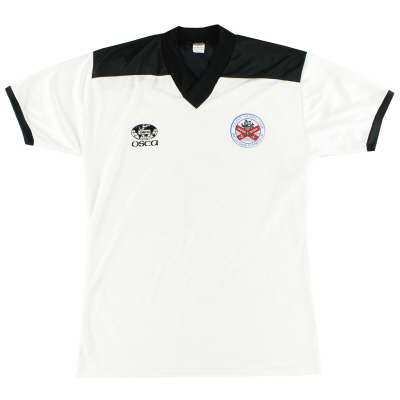 The name was shortened to Fulham in 1888 and after a few years wearing plain red jerseys the club settled on their workman-like white shirts and black shorts in 1903 - this original outfit finished off with a natty pair of black and white hooped socks. 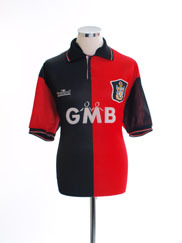 The club have retained these colours ever since with only the socks varying between black and white, although following a brief dalliance with red, white socks have been the norm since 1973. 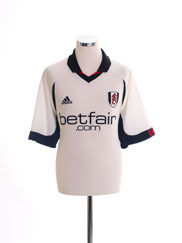 In fact red has become an essential part of the Fulham palette in recent years as both home kit trim embellishments and as a preferred away colour - a clear nod to the side’s original strip. Other change colours have included yellow, blue and thanks to adidas in 1999, bright green! 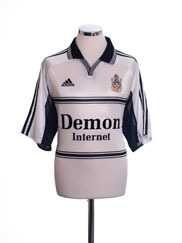 As with many clubs that found themselves in the lower divisions when shirt sponsorship first took hold in the game, Fulham have not benefited from any long-term sponsorship deals and have endured several sponsor-less seasons. 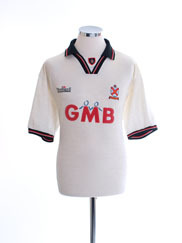 Their first partnership was with was brewers William Younger in 1984. 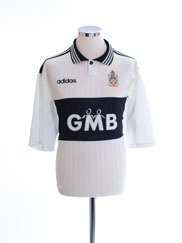 Since then 10 further companies have featured as shirt sponsors for the club including Teleconnect, GMB (Britain’s general union) and Pizza Hut. 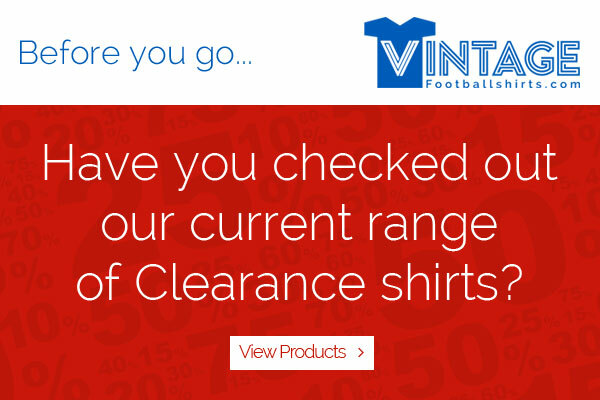 Despite their mixed shirt sponsor fortunes, the club are one of the very few in the league who over the years have worn strips by all of the top four sportswear manufacturers; Adidas, Umbro, Nike and Puma.